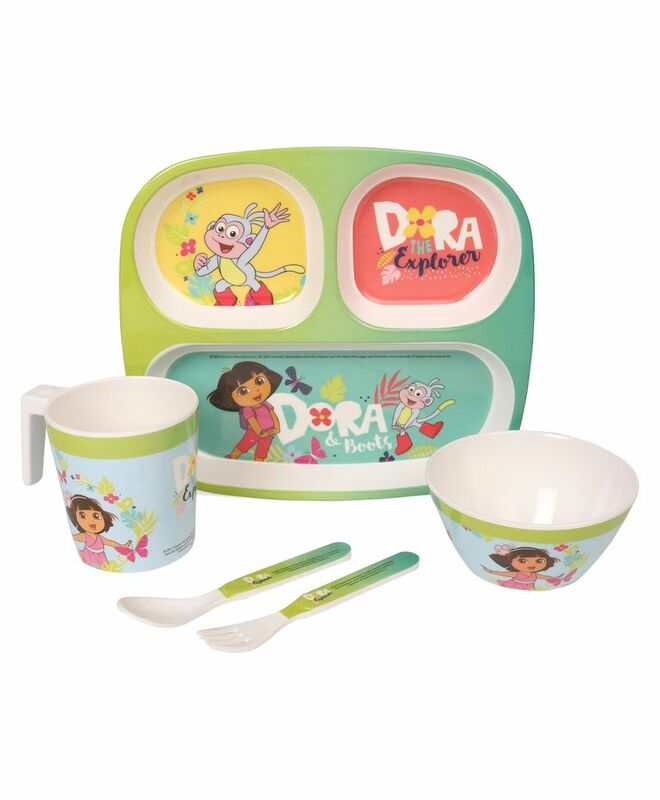 Dora presents kids cutlery set creates fun times for the kids during breakfast, lunch or dinner. The colorful cartoon character themed set is so attractive that kids will love to have food in this feeding set. Made of break resistant and durable material, the set includes a plate, a bowl, mug, a fork and spoon.